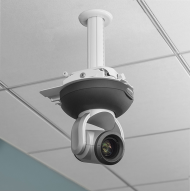 The ceiling-mountable EVI-D70 combines a high quality 1/4 type EXview HAD™ CCD color camera with the flexibility of a remote pan/tilt/zoom operation, all in a compact easy-to-use package. 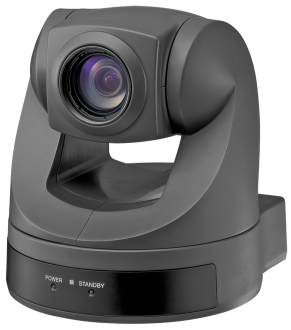 Compared to its predecessor, the EVI-D70 camera incorporates a wider pan/tilt range with an 18x optical zoom lens and a faster pan/tilt mechanism. *Standard Sony Kit only available in Black. Wide Angle Camera Lens Option for Sony EVI-D70 Wide angle lens for Sony EVI-D70 with 37mm threads and .5x magnification. 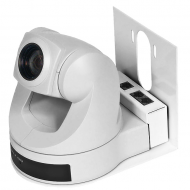 Recessed Ceiling Conversion Kit - CeilingVIEW 70 PTZ Hardware kit for recessed drywall or hard ceiling applications. 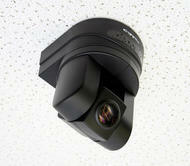 CeilingVIEW 70 PTZ - White Camera Half-recessed ceiling-mounted PTZ camera system that includes a Sony EVI-D70 PTZ camera. 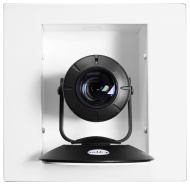 Drop Down Mount for Small PTZ Cameras - Short Drop down ceiling mount compatible with WallVIEW 50, 70 and 100 camera systems. DomeVIEW 70 Flush Mount Camera System Flush Mount Dome enclosure and Sony EVI-D70 PTZ camera with EZCamera Cabling System. 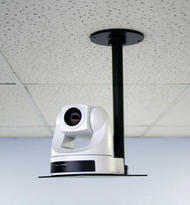 Drop Down Mount for Small PTZ Cameras - Long Drop down ceiling mount compatible with WallVIEW 50, 70 and 100 camera systems. 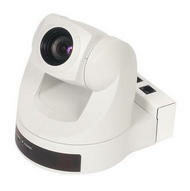 Thin Profile Wall Mount Bracket for Sony EVI-D70 - White Wall Mount for Sony EVI-D70 Pan/Tilt/Zoom Camera - White. Thin Profile Wall Mount Bracket for Sony EVI-D70 - Black Wall Mount for Sony EVI-D70 Pan/Tilt/Zoom Camera - Black.